I just turned on my computer and found out I won a blog give a way. 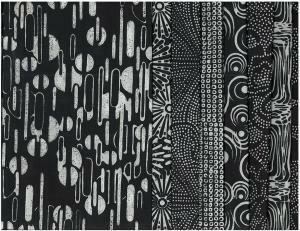 I won these great black and white Batik fabrics. It was a give a way from Heidi at Craft:nosis. Please check out her blog. 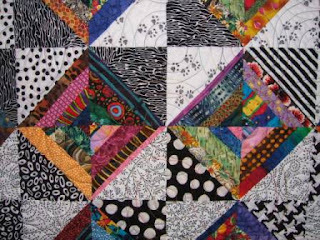 She has done a great New York Beauty quilt. The fabric came courtesy form Old Country Store Fabrics. Thank You both for the prize. My friends that know my many quilts will know these fabrics will fit in my stash just fine. It is one thing to win but to win a bundle of fabric that I love is that much better. This is Scrappy Goes Wild. I black and white quilt I made a few years back. You can see I do use lots of black and white prints. Thank You again. Joan Thank You for letting me use your new quilt machine on Friday. I did a test run for an up coming class. More on that later. Busy busy week. Off to a Horse tack sale.